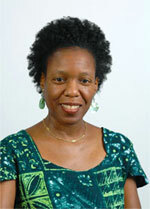 Kiah L. Graham, a native of Charleston, South Carolina, graduated from Florida A&M University in December 1995 where she earned a Bachelor’s degree in Computer Information Systems with a minor in Business Administration. 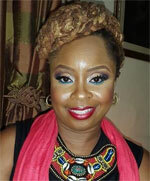 Ms. Graham also received her Webmaster Certification from Florida State University in 2003. In 2002 she started the I.T. (Information Technology) consulting firm, Sirius Web Solutions, which specializes in website development, digital archiving, graphic design, and e-marketing strategies. The mission of Sirius Web Solutions is to provide a high tech and high touch experience to help their clients achieve success. They believe in building great relationships with their clients and as such, excellent customer service is a top priority. Kiah has over 20 years in the computer industry and is well versed in various programming languages, database management systems, and Internet technologies. Her work experience in both the public and private sector has given her insight on the keys to success. By applying her extensive knowledge, combined with her work experience in the IT industry, she was able to build a successful business and assist her clients in achieving e-business success. She currently shares her insights on business and technology through her book E-Business Success: Using Technology to Take Your Business to the Next Level.